I began my journey in ceramics at our home in Wisconsin in 2004. In 2015 we moved to the "Art Coast" of Michigan, and are now situated in a lovely area in the countryside between Saugatuck and Holland near the Lake Michigan shoreline. The home we purchased is an unusual "underground" house, built in the early 80's. Yes, there are at least two feet of soil on top. Built onto the front of the home was a very large open space with skylights and windows...we walked in and said, "Oh! A studio!" And that's exactly what it became. Moving a household is quite a task. 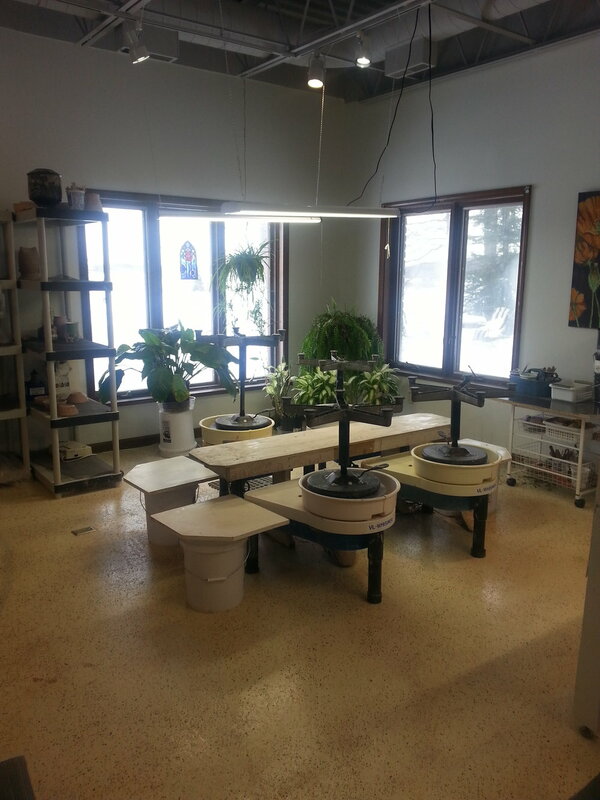 Moving an entire ceramics studio is a task times ten. I took a couple of years off to work on renovating our new home and setting up my new studio space, and finally got back to business in late 2016. I still don't know where some stuff is. The barn, maybe? Ah, well. Now I have the unique privilege of walking from my home directly into my work space, and I couldn't be happier. With countryside and pond views from my studio windows, birdsong from the surrounding woodlands, and sunlight pouring through the skylights or the soft sound of rain on the metal roof, my studio is my haven. I set to work creating gardens, an orchard and landscaping on the property, and last year created a unique roof garden on top of our underground home. My plans are to host two to four open studio events during the year, attend limited art fairs, and revive my Etsy site to sell online. I also plan to begin teaching pottery classes again in 2017. For now, the studio is open by appointment, with information on our first Spring Art Tour (early May) to be posted soon. I hope you'll visit! Holland is a lovely little town, situated right on the edge of Lake Michigan. It's full of galleries and studios. I'm lucky to be a part of the lively artistic community here! I have a full gallery located in the studio, so you can peruse my work after getting to see some of the process and work space. My garden on the roof! We live in an underground home, and yes, there is a garden on the roof. 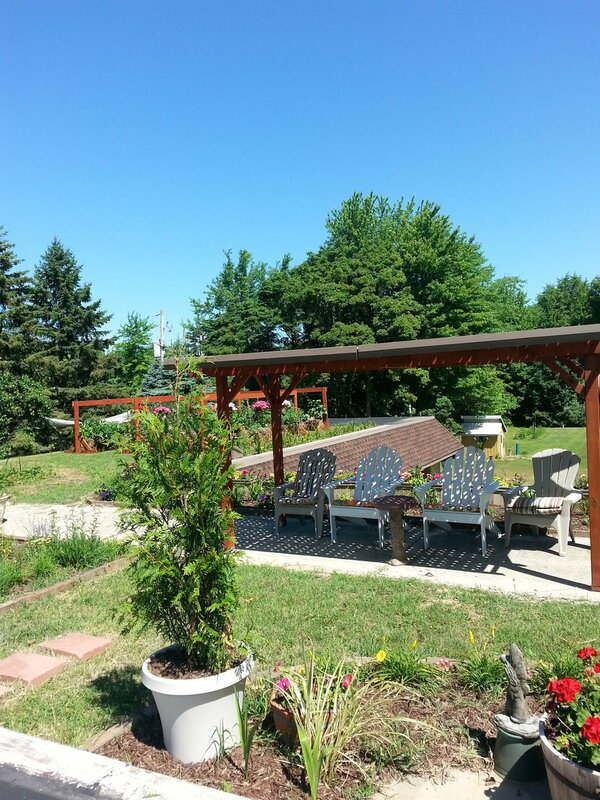 I also have a native plant garden, studio garden, butterfly meadow, and woodland pathways. It is a very unique and nature-filled place...come for a visit!